With 127 RV sites, Escondido RV Resort has plenty of space to host you. 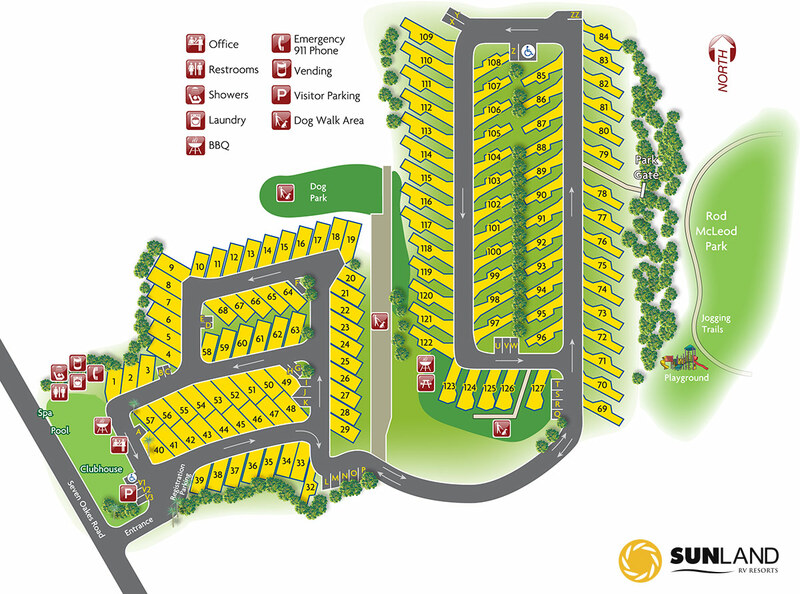 Get familiar with us before you arrive by checking out our resort map below. We have recently upgraded some of our best sites. Call our front desk or book online to secure your perfect spot.